From Paper To Digital - How Does The Document Scanning Process Happen? One of the most common questions we face on a day to day basis is "How do you convert my paper files into digital images?". It's not a surprising question, the process watching 200 boxes of documents leave your office for scanning and come back on a hard drive about the size of a deck of cards is a pretty amazing. The truth is the entire event is a systematic process with a heavy focus on security and quality. 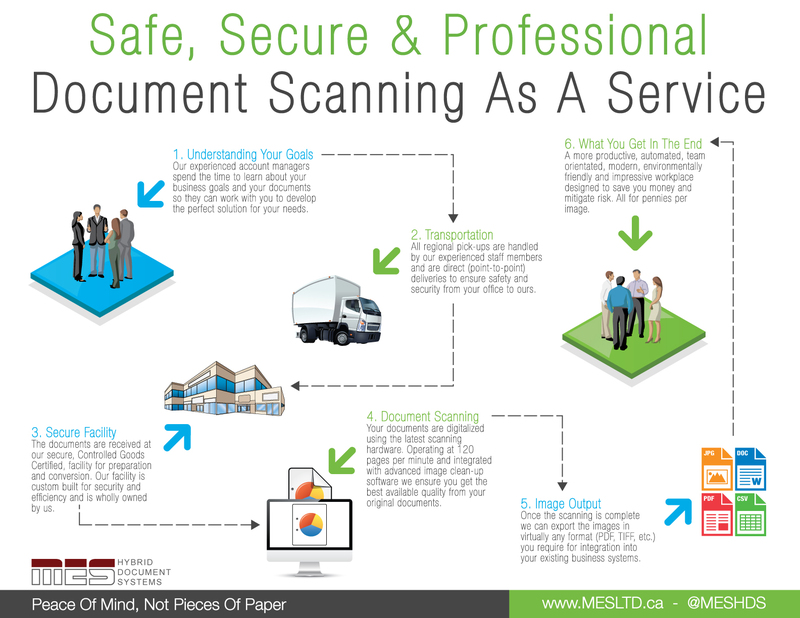 Our latest infographic is designed to walk you through the steps of our document scanning process at a high level; transforming a very conceptual idea into a relatable and easy to understand process. Click on the image below to see the full size infographic.